The Centre was opened on 12th July 2012 by Nick Gibb MP, Minister of State for Schools. 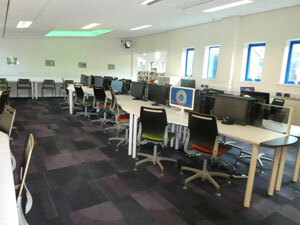 It features 400m² of learning space, computers and laptops, iPads and Kindles, in addition to its 8,000 books. Students can also use their smartphones for research in a high speed wireless environment. 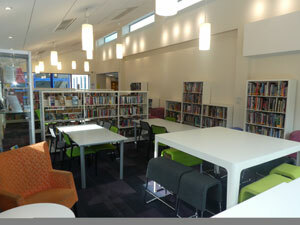 The centre, managed by Miss K Cowley has a large silent Sixth Form study area. 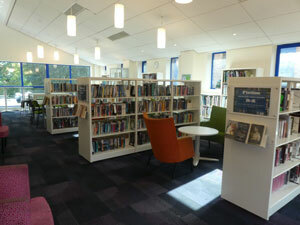 The Centre is open daily from 8.00am to 5.00pm Monday - Thursday, and from 8.00am to 4.00pm on Friday. Mr Hollywood is on hand to offer assistance with homework at an after school club on Thursdays from 3.30pm - 4:45pm. Years 7-11 may loan up to 3 books; Years 12 and 13 and keen readers may loan up to 6 books. The loan period is 3 weeks.